I was one of those parents standing around in the rain while my son and his friend went on the Sustainival rides at last fall's Big Spirit Festival put on by Events Wood Buffalo along Morimoto Drive. 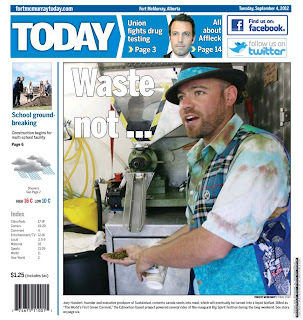 I knew that it was more than your average carnival as I had followed the lead-up to its arrival - the world's first green midway, powered by used cooking oil gathered from local restaurants, hotels and camps. Had I not known that going in, it would have seemed like every other midway I had frequented in my 45 years on this earth, complete with rides and games of chance operated by sketchy characters with mustard-stained carny shirts and that weathered, beaten look that is emblematic of the inherent vagabond nature of the carnival lifestyle. 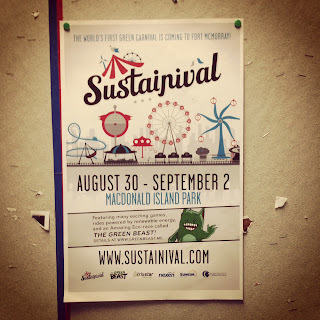 Unfortunately, I didn't get a chance to meet Sustainival CEO Joey Hundert during those soggy days last September, though we had some at-a-distance engagement via Twitter. I was trying to celebrate the sustainability piece as best I could, but the belligerent rain was quite distracting from the desired core message of this collection of carnival attractions being powered by a product otherwise considered waste. Joey and I finally met face to face during the Nexus North design lab in May and followed things up with a hearty conversation and breakfast at Ms B's in June. It was an inspiring way to start the day as Joey shared with me the vision behind The Green Beast, an eco-challenge element that is being integrated into Sustainival's return visit to Fort McMurray from August 30 - September 2. We talked of myriad other things including forthcoming eco-innovations, entrepreneurship and the value of collaboration. One among a select cadre of world-changers, Joey starts with a "Wouldn't it be great if..." statement and ends with something radically awesome, scalable and financially viable. The Green Beast is another re-think, re-imagination, re-invention worth sharing with your friends and neighbours, and most importantly, your kids. On August 31st, amidst all the other people just out for a couple of hours of carnival ride fun, participants in The Green Beast eco-challenge will scour the site, rides and attractions for the answers to clues, along the way, experiencing everything that a green midway has to offer. Not for the light-of-stomach crowd, of which I am one, rides might have to be tackled numerous times to seek out the hidden clues. 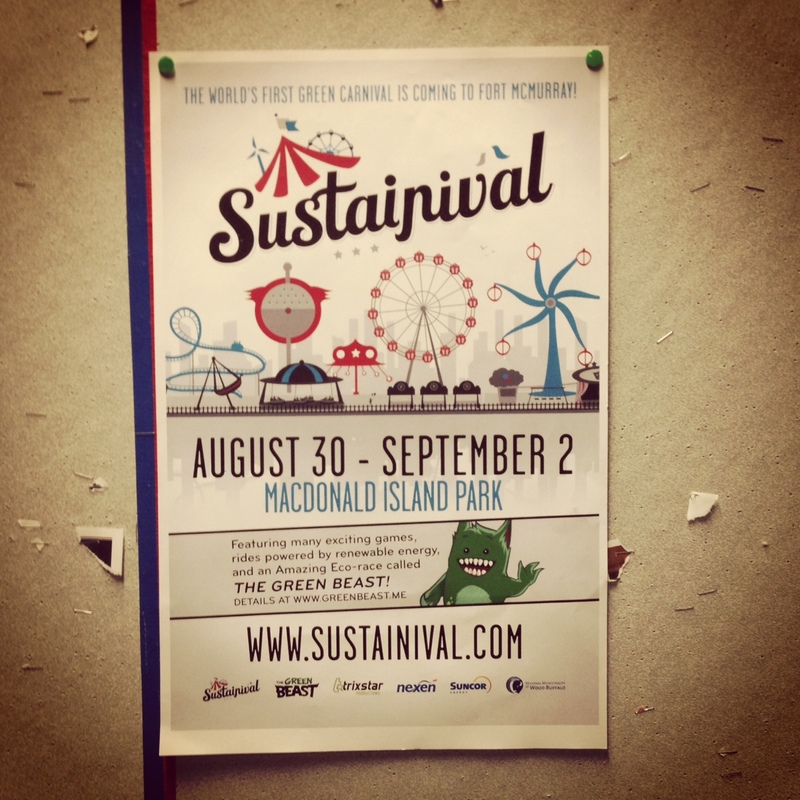 Along the way, the narrative of Sustainival will be experienced in a new, interactive and exhilarating way. If there is one thing I've learned as a parent, it is that children love a challenge. 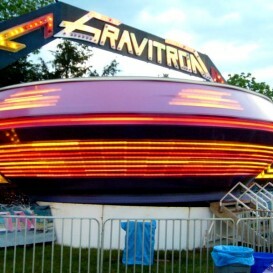 They also love carnivals and being able to ride the Gravitron over and over again, long after my stomach has given up the ghost. The Green Beast provides the ultimate mechanism to bring Summer 2013 to a rousing conclusion. Oh, and by the way, The Green Beast eco-challenge is open to the young and the young-heart, if you've got the stomach for it. Sadly, I do not, and will happily cheer on everyone else with my feet firmly planted on the ground.